This 2CD set brings together for the first time all of Lorin Maazel’s Decca recordings of Richard Strauss tone poems with the Vienna Philharmonic (he recorded Tod und Verklärung twice, the second time with the New Philharmonia Orchestra). All the recordings were made in Vienna’s Sofiensaal, and star VPO principals were soloists in Don Quixote and Der Bürger als Edleman. 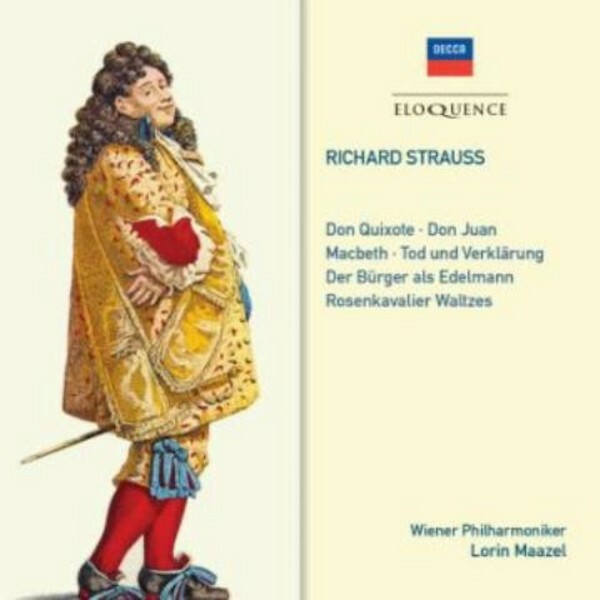 To these 1960s recordings is added the 1983 recording of Macbeth that Maazel made for Deutsche Grammophon, thereby offering a trio of literary-inspired works: Don Quixote (Cervantes), Don Juan (Lenau) and Macbeth (Shakespeare). The release forms part of the continuing exploration of Maazel’s Decca discography.